In December, 2016 we had an exciting visit from Vusi and his wife Bongi Maphalala. Vusi is a young Zulu man who has been a teacher and a pastor and for many years has been the leader of our Value Based Life Skills program in the Okhahlamba district of South Africa. This is an area in the Drakensberg mountains , with a population of approximately 150,000 people who live in a deprived rural area. When we visited in 1999 we found 40% of the young women there were positive for HIV and subsequently died, leaving countless orphans in a devastated community. These young people, many of whom have lost their parents to HIV and others who have suffered from the dislocation caused by the pandemic, very frequently do not value themselves at all and engage in all the self destructive behaviour that one can imagine. The course that Vusi teaches emphasises the intrinsic worth of every human and helps these young people recognise their potential. The results of his work are remarkable – they call him Baba (Father) Maphalala and love and respect him , listen to him and are greatly helped. While Vusi and Bongi were here they had a very full two weeks on their first trip out of Africa and gave the many people they met here at AAF functions and visits to school partners valuable insight into the problems these young people experience. 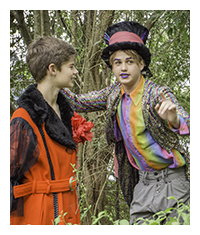 The Mad Hatter’s Tea Party was a wonderful success, with guests being able to enjoy meeting and hearing from the Maphalalas as well as taking pleasure in a wonderful social day in the beautiful environment of Burnham Grove. With help from generous sponsors and many volunteers more than $30,000 was raised to make a difference in Africa. 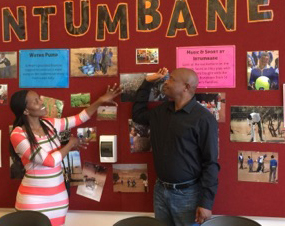 Vusi and Bongi visited many schools in Australia which now have partnership relationships with African children and letters have been taken back to Africa. At St Peters Anglican Primary School they attended the Christmas Chapel service and enjoyed a morning tea with the Principal Mr Brendon Gorman. St Peters has made a huge difference to their partner school, Intumbane School. 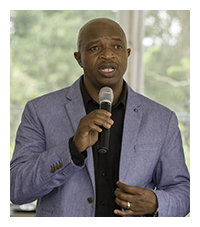 They visited Wollondilly Anglican College and Cawdor Primary School Vusi can now speak to the different partner schools and help the relationships to develop. The Newcastle area was an exciting part of their visit. They were hosted by Darren and Sarah Bayley (Sarah is John and Rosalie Schwarz’s daughter and has visited Vusi in South Africa last year and other times) Woodville Primary school is a small school that has partnered a school in a remote part of Africa and has helped the school to have three class rooms for their 60 children. The Annual General Board meeting was made much more interesting by their presence. Sydney University. At their Christian Medical Society meeting they were encouraged to think about how inspiring and worthwhile it is to consider Africa in their future plans. Vusi and Bongi spoke at the Congregational church at Narellan where many of the congregation have supported AAF over many years. Vusi and Bongi on their first visit out of Africa gave the many people they met here at AAF Functions and school visits valuable insights into the problems their young people have and the joy they experience when they are helped. The year has been one of validation of how worthwhile the work of AAF is. I am making a heartfelt request that you continue to give so that the work can be multiplied and many more of these potentially wonderful young people can be helped to mature into the inspirational individuals that can change the world they live in.